ARTICLES: Our Articles page lists articles by Bob Olson and other writers. Whether you're looking to learn more about grief, psychic or medium abilities, or spirituality in general, these articles should be just what you're seeking. 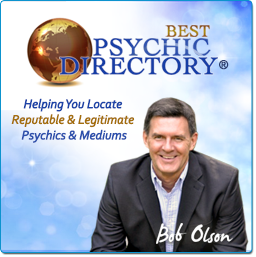 There are several articles about Bob Olson's personal experiences with past-life regression, life-between-lives regression, spirit writing and, of course, psychic & medium readings. EVENTS: Our Events page offers local, online & teleconference events by the psychics, mediums & other practitioners on Bob's "Tested as Legitimate" list. RECOMMENDED BOOKS: Our Recommended Books section features books on the subjects of psychics, mediums, after-death communication, near-death experience, past-life regression, life-between-lives regression & life after death. 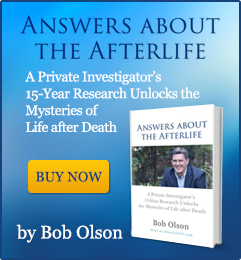 AFTERLIFE TV: AfterLifeTV.com is the most recent of Bob Olson's resources to guide and educate you about the afterlife. Here you'll see videos where Bob talks with authors, experts & practitioners (called Conversations), videos of Bob sharing what he's learned from his investigations (called Reports), and videos where people share their personal afterlife experiences (called Experiences). AFTERLIFE TV PODCASTS: There is an audio player at the bottom of every Afterlife TV post, allowing you to listen to the interview or report rather than watch the video. You can also download the audio MP3 there. 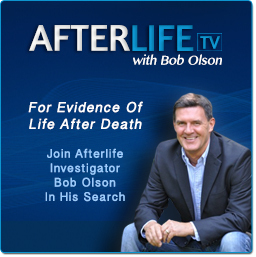 If you prefer to download your podcasts using iTunes, visit this Afterlife TV iTunes page. AFTERLIFE TV TRANSCRIPTS: Most interviews & reports videotaped on Afterlife TV have been transcribed for people who prefer to read than watch a video or listen to a podcast. 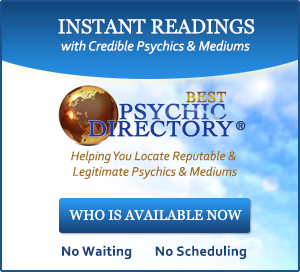 BEST PSYCHIC DIRECTORY: BestPsychicDirectory.com is a directory of over 900 psychics & mediums whom I have personally screened & approved. While this is not my tested list of the most extraordinary psychics & mediums (like the site you're on now), this directory does give you alternative options to meet your needs. You can read reviews on this site, search by state or speciality, and even get instant readings (see below). VIDEOS ABOUT WORKING WITH PSYCHICS & MEDIUMS: These select videos teach about predictions, getting a good reading, choosing a psychic or medium, and more. These videos were orignially created for AfterlifeTV.com, but have been added to this site due to their relevant content. 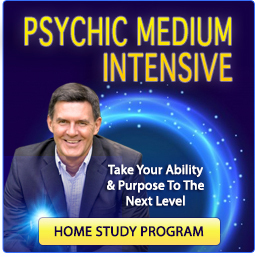 I hope they help you to better navigate your way through this complex field of psychics and mediums. INSTANT READINGS: On this directory, you have the ability to get readings with psychics & mediums who are available to give readings instantly--no waiting. Visit this page to see who is available at this time to give you a reading. PSYCHIC MEDIUM WORKSHOP: I gave a workshop to 122 psychics and mediums--from beginners to advanced--on how to improve their readings, which was based on over a decade of testing psychics & mediums and analyzing why some gave poor or okay readings and others gave great or extraordinary readings. This home-study audio course is approximately 6 hours in length, can be downloaded instantly after purchase, and will teach you how to dramitically improve your readings today. It also teaches psychics & mediums how to better promote themeselves, attract more clients and bigger audiences, and earn an income that matches the value they bring to clients. This psychic medium workshop has received rave reviews by many top psychics and mediums.